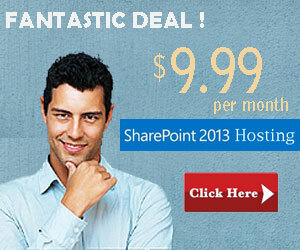 In this tutorial, I will explain you about Outlook Web App in SharePoint 2013. When I had a go at discovering the Outlook Web App web parts in the SharePoint 2013 OOTB web parts, I couldn’t discover the web parts and “Outlook Web App” classification is additionally not accessible. 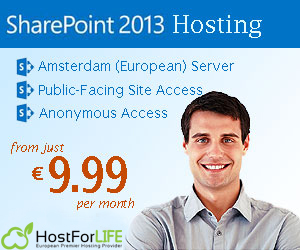 I was supposing it is deprecated or not accessible in SharePoint 2013. After searching, I found the following solution. 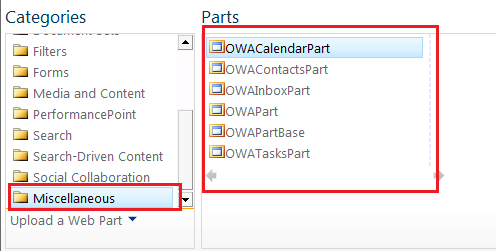 And here is the step to include Outlook web parts . First, Go to Web part Gallery. And then On Web part Gallery page, Click Files-> New Document -> New in the ribbon. On New web part page (NewDWp.aspx), search for Microsoft.SharePoint.Portal.WebControls.OWA, select the web parts identified with the outlook as shown underneath and populate gallery. under the Miscellaneous Category, you’ll see the web parts related to Outlook. 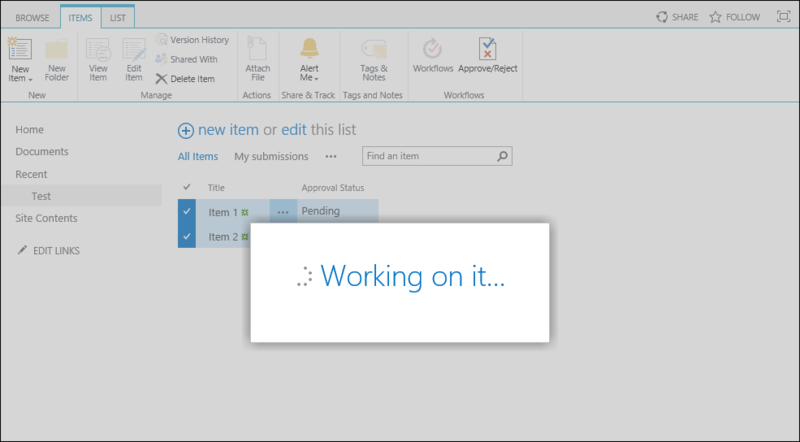 Today, I will show you how Unable to approve multiple items in SharePoint 2013. It’s possible to approve multiple items in one pass selecting the things in a view and clicking on the Approve/Reject button within the Items tab. However, if the user has the acceptable permissions for the item, however not for the list and web site, the user will choose multiple things and click on Approve/Reject, however, if you click on it the Working on it… The dialog won’t disappear. It works if only 1 of the things is chosen, but with multiple items it’s loading forever. 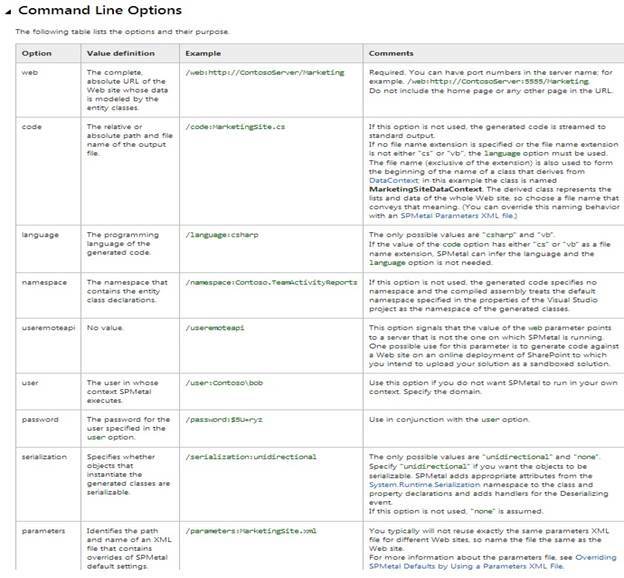 1. create a new list and enable content approval. 2. Create two items within the list. 3. Disable permission inheritance for each items and assign a user while not approval permissions for the list or web site approval permission for the items. 4. Now sign up with this user and choose both items. The Approve/Reject button is enabled, however, if you click thereon the working on it. The dialog can seem, then again doesn’t go away. The expected Approve/Reject dialog will never show up. If you are experiencing this problems, please make sure that the user has approval permissions for the list and the site as well. Hope it works for you! 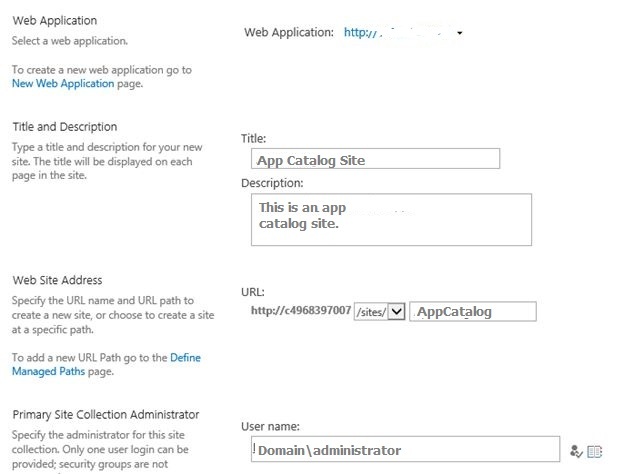 In this post, I will explain to you the steps to create an app catalog site in SharePoint 2013 using SharePoint 2013 central administration. An app catalog site contains a special type of document library that is used to upload and store app package files. Along with storing the app package file, this document library also tracks various types of metadata for each app. Open SharePoint 2013 central administration (Start > All Programs > Microsoft SharePoint 2013 Products > SharePoint 2013 Central Administration). Choose Apps from the left hand side and this will open the Apps page. Click on Manage App Catalog from the App Management section in the Apps page. The app catalog site has created successfully! 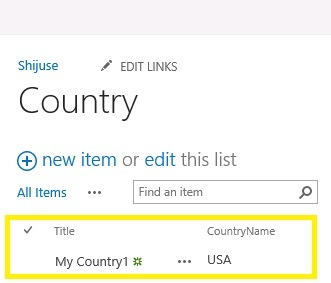 We have to give only site collection relative url for getting the site object. clientContext.get_web() gets the web object and clientContext.get_site() is the method used to get site collection object. I hope this post is helpful for you. Good luck and happy coding!